This is going to be an interesting bit of speculation since last night IGN announced the specs GPU powering the next generation Xbox and the net went ablaze with comments and opinions. IGN reported that the Xbox 720 will be about 20 percent more powerful than the Wii U making it around six times more powerful than the original Xbox 360. What is most interesting about this article is that IGN also made the statement that the Wii U will be five times more powerful than the Xbox 360 which surprised a lot of people who originally thought that Wii U would only be fifty percent more powerful current HD systems and focus on easy ports with marginally better graphics. It was already reported a few days ago that developers have received final Wii U dev kits and that they seemed to be more powerful than expected. The final GPU and specs have not officially been released for the Wii U so it could mean a lot of things. The last reported dev kit GPU for the Wii U had a Radeon HD 4850 powering it but needed to be underclocked due to overheating. The developers have said that the target specs were going to be the HD 4850 but dev kits were still being modified; which probably means size, RAM and clock speeds. What the "more powerful than expected" statement could mean is that Nintendo was able (with help) to develop a highly modified Radeon HD 4850 or something that is the equivalent and shrink it down to fit the smaller console environment. Nintendo most likely told developers that performance would be very close to the HD 4850 but the actual chip would be something totally new. 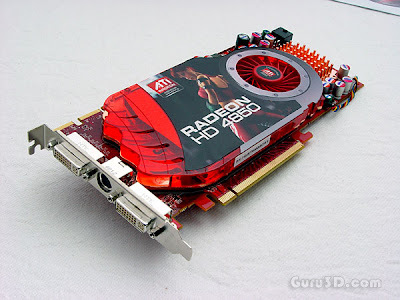 So now we move on to the Xbox 720's GPU target for it's dev kits: the HD Radeon 6670. This GPU is a bargain bin type GPU that was released last year and can play most games at a decent frame rate at medium settings. The information when comparing these two GPU's of the Wii U and the 720 leaves me a little confused. "The Radeon HD 4850 1GB comes with a GPU clock speed of 625 MHz, and the 1024 MB of GDDR4 memory runs at 993 MHz through a 256-bit bus. It also features 800(160x5) Stream Processors, 40 TAUs, and 16 Raster Operation Units. Compare those specs to the Radeon HD 6670 (OEM) 1GB, which features GPU clock speed of 800 MHz, and 1024 MB of GDDR5 memory set to run at 1000 MHz through a 128-bit bus. It also is comprised of 480 SPUs, 24 Texture Address Units, and 8 ROPs. Performance-wise, the Radeon HD 6670 (OEM) 1GB should theoretically be a little bit better than the Radeon HD 4850 1GB in general. The Radeon HD 4850 1GB is quite a bit (more or less 30%) more effective at texture filtering than the Radeon HD 6670 (OEM) 1GB. If using lots of anti-aliasing is important to you, then the Radeon HD 4850 1GB is a better choice, by far. Please note that the above 'benchmarks' are all just theoretical - the results were calculated based on the card's specifications, and real-world performance may (and probably will) vary at least a bit." Even though this is a theoretical benchmark, the specs of the HD 4850 do heavily out number that of the HD 6670. I'm not really sure what this says for the 20 percent difference in power that IGN is stating that the Xbox 720 will have over the Wii U since these specs seem to show that the Wii U's GPU will actually be the better performer. The extra power that the next Xbox may have more over the Wii U could possibly be more RAM and a higher CPU clock speed or more cores to work with, but overall it looks like the Wii U will be able to stand proud on it's own for quite some time. Remember that the Wii was the only system that Nintendo intentionally made under-powered in specs when compared to other systems. 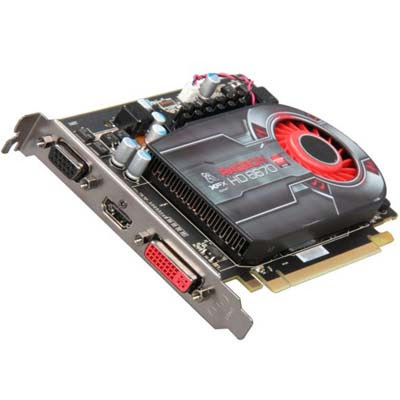 How quickly people forget that back in 1996 when the Nintendo 64 was released, for a couple months Nintendo had the most powerful piece of tech available because the first 3DFX Voodoo cards for the PC gamer were just starting to barely make it to the market. For the gamer that played Wii and only Wii this generation, the leap graphically to the Wii U will be as massive as the Super Nintendo to the Nintendo 64. There were more rumors posted yesterday about the Wii U only being 2x as powerful than the Xbox 360. It seems that the comments were made by a developer or someone close to development late last year before final dev kits were received. The article posting the rumor also said that the new IGN information was pretty much correct. I just can't wait to see a nintendo made game on the wii u. And hopefully we will get a Capcom vs nintendo game. Interesting comparison. However; I take IGN speculation with a barrel of salt; even if it's a Microsoft leak. This is the same group that claimed 3DS was as powerful as XBOX 360/PS3; and that turned out to be false. It was around Gamecube/Wii level, which is still pretty good. IGN did not say the 3DS was as powerful as the Xbox 360/PS3, what they said was that games looked similar to what could be done with those systems. As far as IGN's spec leaks in the past, they have been right every single time (surprisingly). Very convenient that this rumor was released just a few days AFTER the IGN rumor. Someone's playing foggy eyes again. Still better than the 50% rumor though; so it's a thumbs up either way. If IGN is telling the truth here; we are in for something special. Although; I suspect third parties will be porting like crazy, mostly during the first six to nine months after launch. It's normal MO for them anyway. Yeah I heard that rumor too, but it's just a rumor from a source no where near as trusted as IGN. Also, IGN stated 2 things about the Wii U in the article: It's 20% less powerful than Xbox 720 and 5x more powerful than Xbox 360. I doubt they are wrong on both, so even if the Wii U is only twice as powerful as the original Xbox 360, the Xbox 720 is only 20% more than that. I find it hard to believe. what nintendo actually said was GRAPHICS ALONE NO LONGER ENOUGH !!!!!!! what ign said was 3DS can do x360 like games/graphics WITCH IS 100% FACT , resident evil revolations is just the start!!!! wen building a 3DS game devs only aim at small screen and SD-ish resolution thats as effective as say 720p on say a 40 inch screen VIEWING OPTICAL FACT do the math AT 3.5 INCHES AT 800X240P = x360 like performance!!!!!!!!!!!!!!! x360 like graphics @ 3.5 inchs 800x240p does not require x360 power THATS KINDA OBVIOUS !!!!!!!!!!!!!! I heard the rumour that the next generation consoles will have more than enough power to keep their respected fans happy. But that just a rumour I heard floating around. 3DS/gpu 400mhz very close to 360 graphics. I don't need graphic numbers to prove Playstation Vita is an absolute joke sir. It launched during the holidays and they still barely got half of what 3DS got in sales during it's launch despite being released during a period where sales slow to a crawl (3DS: almost 800,000 in two months; PS Vita: 500,000 in two months). And 3DS is supposed to be making a profit in April while Vita might take three years for that to happen. So yeah; PS Vita is a joke; but it's not the specs dude. It's the games. Nintendo is far ahead on that even with third parties. The truth is Nintendo is efficient. All of the graphic whore developers are happy except id and they are too busy trying to stay afloat. The system is so good they are stealing talent now. The uncharted artist and now a programmer from crytek. They are going to take a 4 core monster and make it run like a 12 core beast! The edram and system on a chip design will make sure this will be your next gameboy or ds as the chip simply keeps shrinking. The gpu is very capable but nintendo just added edram to the mix. The wiiu setup is what the cell was suppose to be. With the edram being shared with the gpu and CPU this turns the CPU into a comput shader which is way more powerful than what current pc cards even have. The bottleneck that the ps3 has is effectively removed. Now 2d games can use the comput shader to do AI on the gpu if need be. The solid state storage drive takes out the slow access times of hard drives. I almost wish Nintendo built pcs now lol. Most people don't understand what a fast system bus and ram can do for an old chip. It's common knowledge these chips needed faster ram and it doesn't get any faster than soc a chip ram or edram. This will be the first hd console that performs as advertised. Also the guys saying they don't want a new system doesn't understand he'd gaming at above 20fps is the true next gen leap. Any thing better than that is simply over shooting even the core market. It's very obvious that the core does not even understand computer tech any more. There is so much bad info out there now that a lot of people are going to become frustrated when the wiiu out performs the other system. Wow, so many bungled, uninformed, completely ludicrous comments on here from posters that seemingly have absolutely no understanding of technology both in design philosophy and modern practice. First to go are the comparisons painting the 3ds as powerful as the Vita, no...just no. The 3DS uses proprietary technology based on an older design and is by far LESS powerful than what is found in the Vita. There is honestly NO factual comparison that puts the 3DS hardware even close to being comparable to the Vita's hardware. The 3DS GPU (DMP Pica200) is capable of a theoretical 15 million polygons per second vs the Vita GPU's (PowerVR SGX543) 133 million polygons per second real-world performance. Fill rates also reflect the Vita WAY ahead of the 3DS with the Vita @ 4 GPixels/s and the 3DS @ 0.8 GPixels/s. Also your comparing a psuedo dual core CPU in the 3DS to a true quad-core CPU in the Vita. The 3DS has one core running at 133mhz and the second core (an older model ARM core) running at 33mhz (presumably for secondary screen functions...vs the Vita which runs four ARM Cortex A9 cores presumably @ 800mhz-1000mhz with the cores being capable of 2000mhz tops. Then there was the poster that said that the 3DS has a better screen than the Vita, no way man. The Vita has an OLED multi-touch capacitive screen with 960x544 resolution @ 220ppi, versus the older screen technology (again proprietary based on older hardware) of the 3DS. Color production alone elevates the Vita way over the 3DS not even accounting for the greater pixel density in the Vita. So excited for Wii U!!!!! I still like the fact that the 3ds 400 MHz gpu is much faster than the vitas 300 MHz gpu. 3ds needs more gpu power to put out 3d technology. I'm also sure that nobody would want their vita CPU clocked at 2 ghz cuz it would completely melt the system. Just wait for future system updates and games and we'll see which system has the better hardware. As long as the games are good I won't care if the WiiU was seventy times as weak as Microsoft's or Sony's 8th gen home consoles. Sheer processing alone cannot be enough to stay in the competition. Anonymous vita defending sane person. I wish you had a name so I can thank you for being sane. The main processors in the 3ds are clocked at 268 MHz. Thats cpu AND gpu AND fcram. So that 400 crap can go out the window, rabid 3ds fans. Thats what the MAX The pica can be clocked at is. That also includes the second cpu core. So, its not 33MHz. But it IS typically LOCKED as a media core and not available for games. Nintendo did make an exception at capcoms behest. The pica is ALSO fixed function. Although its library and the way its encoded in actual silicon IS most clever and fantastically performing, its still FIXED. The 15 million triangles is per 100 MHz, so at 268Mhz were looking at more like 40 million triangles, but its still a far cry from vita. Its ram is simply put, amazing. It outperforms the vita ram heavily MB to MB... But the difference in capacity is way too much. The 3ds will NOT outperform a vita. If you want that level of performance, GET A VITA. The 3ds CAN perform the majority of the same effects currently seen in ps360 games, which is what ign said. But it is nowhere near as powerful. Get it for the fantastic first party and capcom games. Get it for the 3d. Its a great system. Dont make up crap about how it does compared to another system to make yourself feel better.